Meeting at Ben Gurion Airport with a representative of the company. 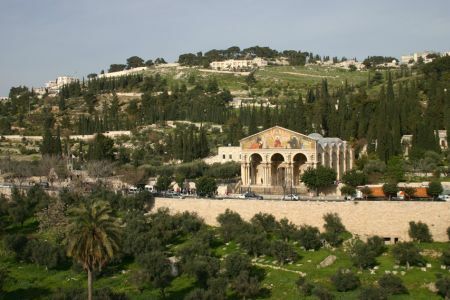 Ein Kerem – John the Baptist was born here, it also the place were Virgin Mary meet Elizabeth mother of John the Baptist. 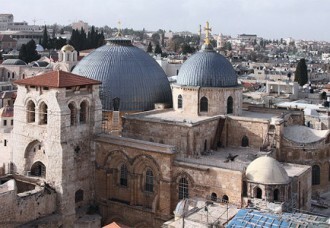 Church of the Nativity in Bethlehem – the birthplace of Jesus. The Church of the Ascension – the place where the ascension of Jesus Christ in heaven happened forty days after the resurrection. 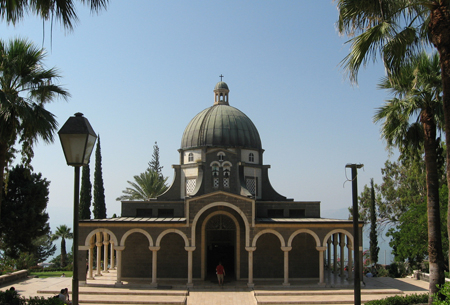 Pater Noster Church – was built over the cave where Jesus talked with the apostles. Dominus Flevit – Tears of the Lord Church. 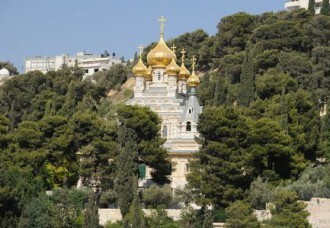 Garden of Gethsemane – the place where Jesus prayed and his disciples slept the night before Jesus’ crucifixion. Church of All Nations – The Basilica of the Agony of the Lord. The Cenaculum – The Last Supper Room. 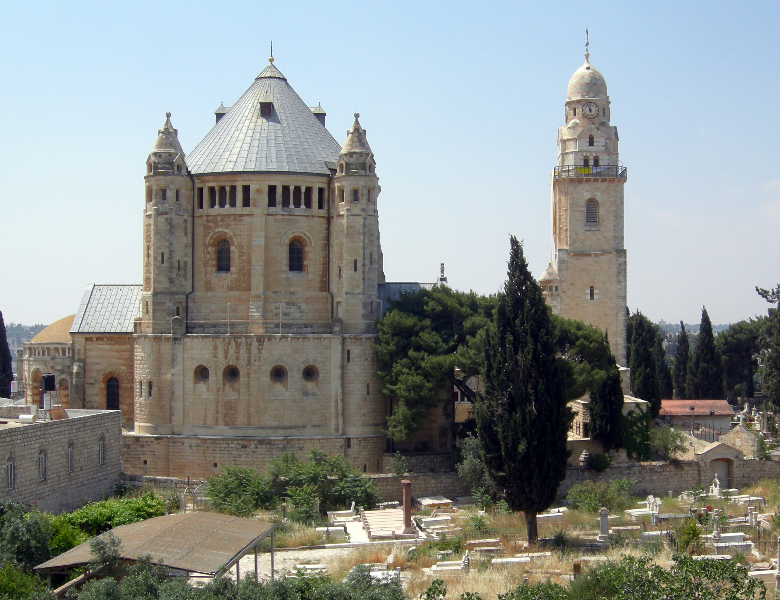 Dormition Abbey – German Catholic Benedictine abbey in Jerusalem on top of Mount Zion. Via Dolorosa – Way of Sorrow – a street, in two parts, within the Old City of Jerusalem, held to be the path that Jesus walked, carrying his cross, on the way to his crucifixion. 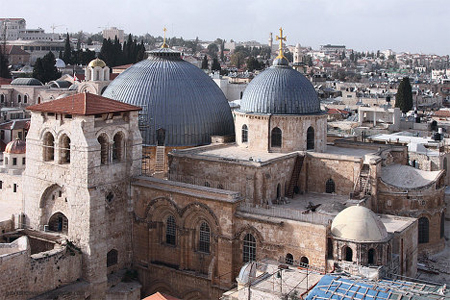 Church of the Holy Sepulcher – place where Jesus Christ was crucified, buried, and then resurrected. 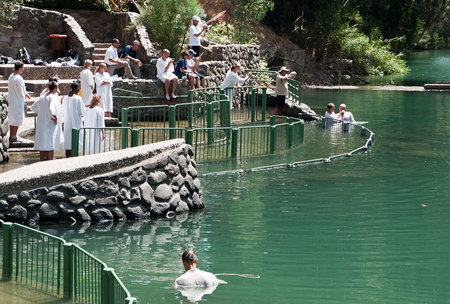 Vifara (Qasr al-Yahud) – a baptism site in the Jordan River Valley. Dead Sea – rest at a spa or on one of the beautiful beaches. 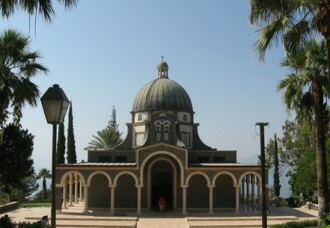 Mount of Beatitudes – Sermon on the Mount place. Tabgha – Church of the Multiplication of loaves and fishes. Capernaum – the place of Christ’s preaching in Galilee. Free time at the Sea of Galilee. Mount Tabor – the site of the Transfiguration of Jesus. Cana of Galilee – the place where Jesus performed his first public miracle, the turning of a large quantity of water into wine at a wedding feast. 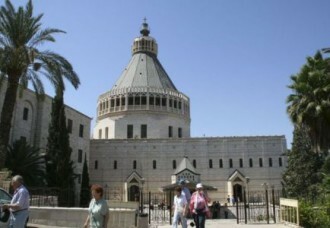 The Church of the Annunciation – the Basilica of the Annunciation in Nazareth. Stella Maris – a center of Carmelite spirituality throughout the world. Bahai Gardens – a unique architectural complex, which includes the Bahai Temple and Persian gardens which are striking by its beauty. Caesarea – Roman city overlooking the Mediterranean Sea. 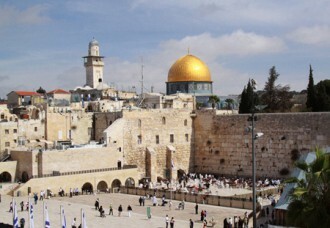 Jaffa – an ancient port town where St. Peter had a revelation. Free time on the beach and in the city (Tel Aviv – Jaffa). Tour operator can make changes in the itinerary, depending on the day of the week, holidays and work schedules of the Churches and Holy Places.